GRANT / DOUGLAS COUNTIES, Wash. – BLM resources were dispatched through the Central Washington Interagency Communications Center on Tuesday, July 3, 2018. The fire is burning 10 miles northwest of Quincy and SR 28 at milepost 23, just west of Quincy, Washington. Nearly 100 firefighters in both air and on the ground have stopped the forward progression and fire conditions have improved prompting the Grant County Sheriff Office ready to release some resources shortly. We have reached out to the Grant County SO’s office for current burned acres and the current containment status. – Ed. 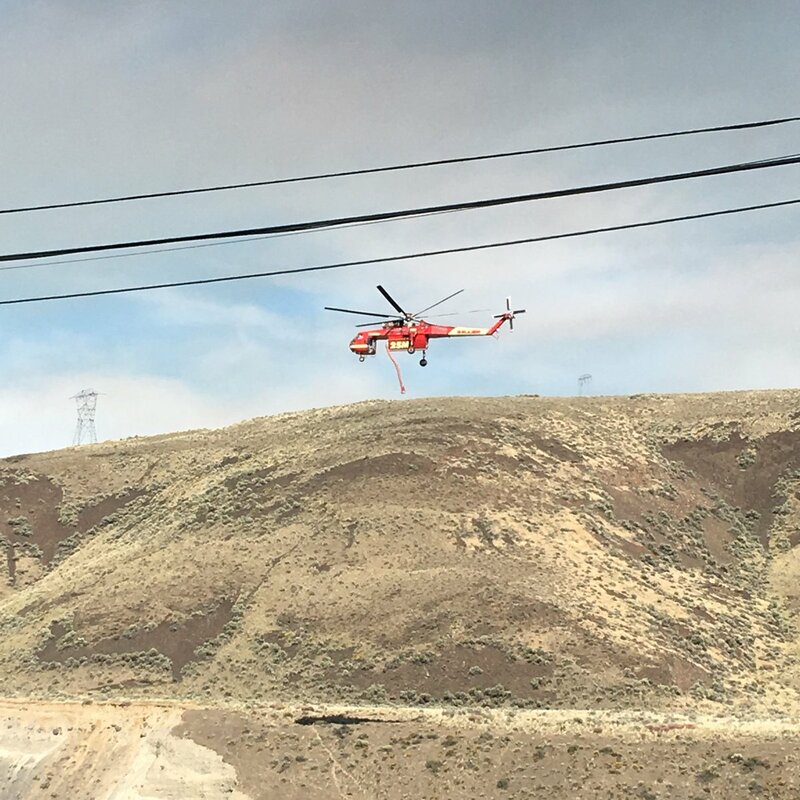 BLM crews and resources include BLM 13 as Incident Commander (IC), AA-10F, BLM E-6696, 6695, JUMP-9 crews. Washington State Fire Mobe resources approved @ 1700 hours. They are currently en route to the wildfire and due to arriving throughout the evening hours. Washington State Department Transportation (WSDOT) @WSDOT_east. None in the Grant County area. We are using alternative communications in neighboring counties. 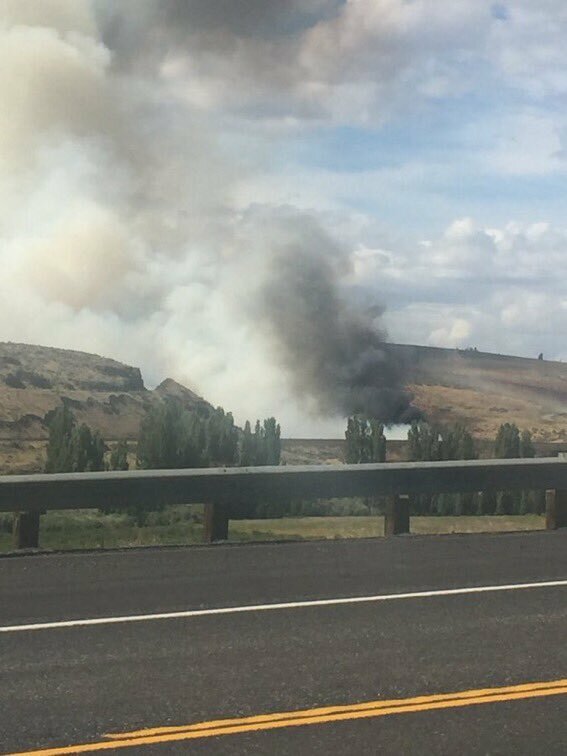 SR 28: @ MP 23 (Trinidad), west of Quincy has now (1853) been reopened but Police are asking for motorists and onlookers to AVOID this area so that fire resources can work safely in the area.